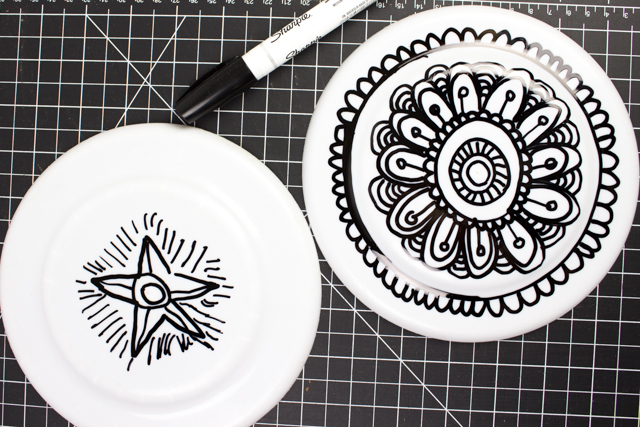 Ok, here's how we doodled on the frisbees. 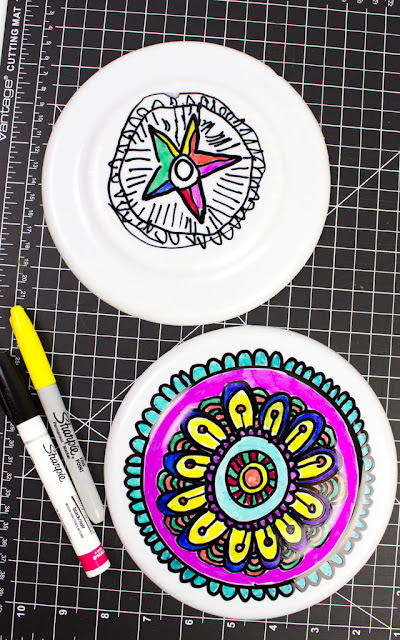 We simply used a black oil-based Sharpie and drew on some plain plastic frisbees. This was our first time using this type of Sharpies and they really didn't disappoint. Highly pigmented, they glided on very smoothly. It literally felt like we were using the pen to "paint" on the black. When they dried, the ink didn't wipe off. They did take a bit of time to dry. Also I tried scratching the artwork and noticed that the black did come off. 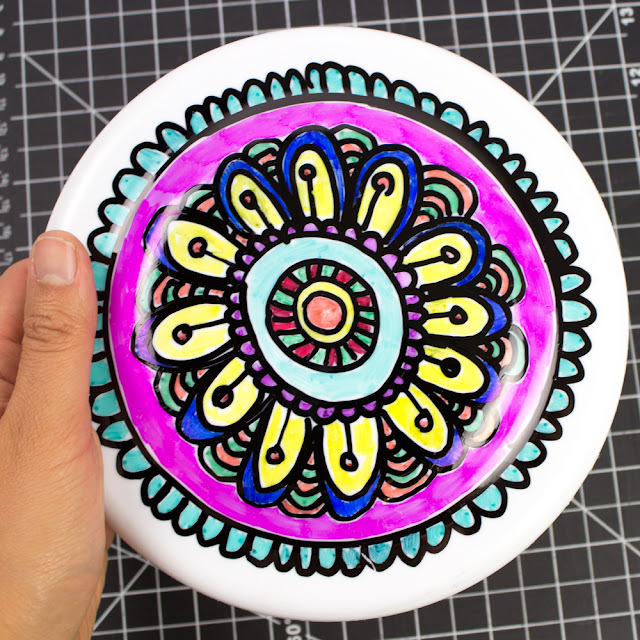 So I imagine that while this frisbee is used, the artwork will get scratched! We noticed that the colorful Sharpies would sometimes smear the black. So we just colored without touching the black lines. We could have also just used normal Sharpies to draw on the plastic, but I'm doubtful that the black would have been that pigmented! Ok! That's all for this post. :) I was just so excited by our first foray into the land of oil-based permanent markers.